The rainbow runner (Elagatis bipinnulata), also known as the rainbow yellowtail, Spanish jack and Hawaiian salmon, is a common species of pelagic marine fish of the jack family, Carangidae. 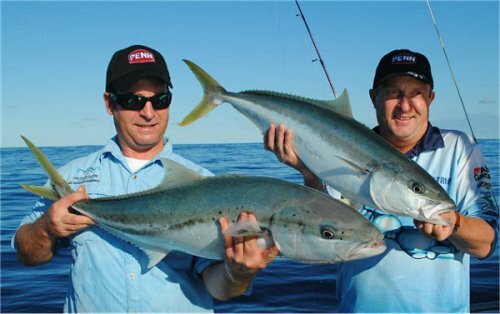 They are commonly found around offshore reefs, and can be taken with trolled lures and strip baits. They have great fighting ability. Rainbow runners are excellent marlin baits. They are also very good eating with firm white flesh.